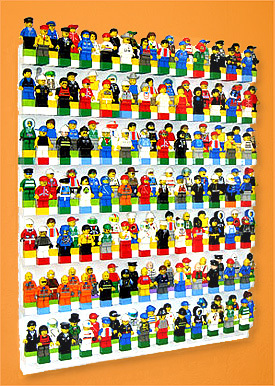 The BRICK RACK Model 7 can hold up to 175 of your LEGO Minifigures! 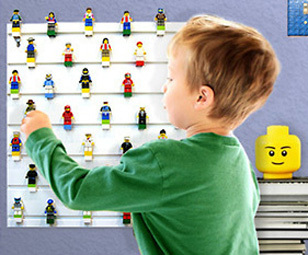 Slide your LEGO bricks into the custom groove and create a beautiful wall display. BRICK RACK Can Also Display Your Small LEGO Sets. Collectors agree that LEGO sets and minifigures are little works of art. We think so too! They deserve to be displayed proudly on your wall! Hang Your BRICK RACK On Your Wall Quickly and Easily! 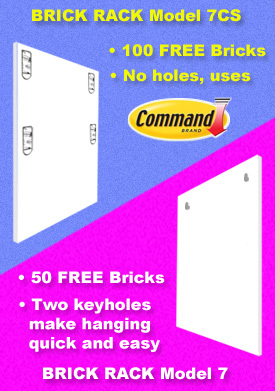 Brick Rack Model 7CS uses 3M Command Strips - no holes. 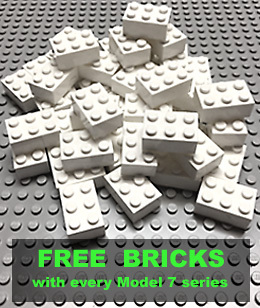 100 free bricks! Brick Rack Model 7 mounts easily to the wall with 2 nails or screws. 50 free bricks! Just slide your LEGO or other compatible bricks into the custom groove and start building. 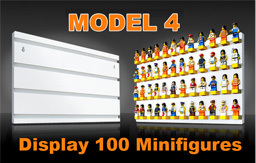 Display up to 175 minifigures on any BRICK RACK Model 7 series. � 2013-2018 BRICK RACK . All trademarks, servicemarks, and copyrights are property of their respective owners. LEGO and the brick configuration are property of the LEGO Group, which does not sponsor, own, or endorse this site. BRICK RACK is patent pending. 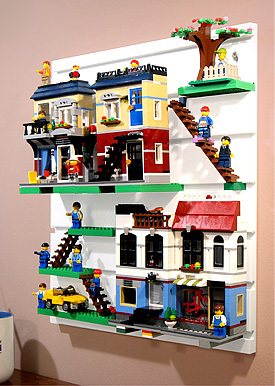 The Model 4 Brick Rack can display up to 100 Minifigures! 50 FREE white bricks included! If you need to display Amiibo or Skylanders game figures, marbles, golf balls, army men or other small collectibles, CLICK HERE!